Where can you find a 5 BEDROOM home under $250K? New price reflects additional work completed. Come see this Beautifully Updated and Spacious, 5 BEDROOM one-level brick home in Stratford Glen! 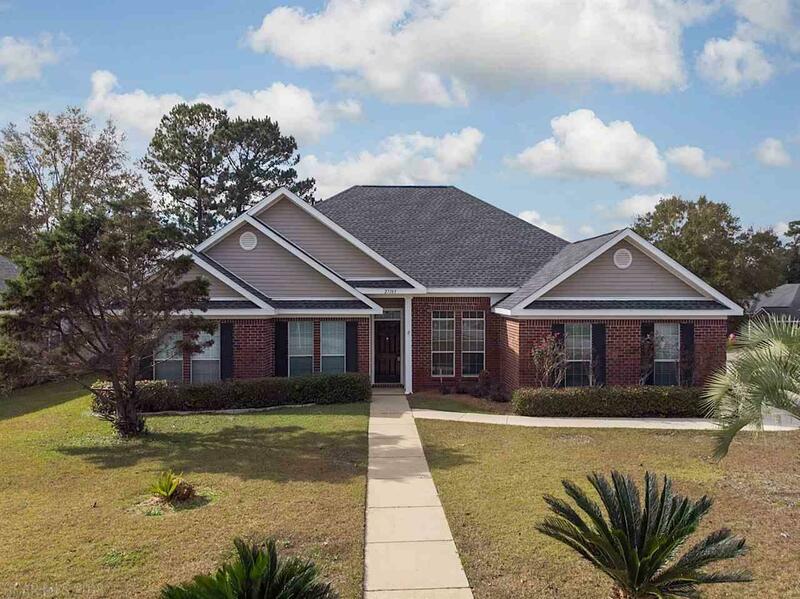 This home features a Great Floor Plan- ideal for entertaining both inside and out. Spacious covered patio and deck off master is the perfect setting for that new outdoor kitchen you want with a quaint sitting area overlooking a Large Fenced Back Yard with storage building. Upgraded entertainer's kitchen boasts tons of cabinets, center island, new stainless appliances -oven, microwave, and dishwasher, and Granite counters. New LVP flooring throughout entire house except carpet in the bedrooms ONLY. Practically New Roof, and much more. Centrally located between Bounds YMCA, Trione Sports Complex, and Daphne Middle/Daphne East Elementary Schools â connected by a sidewalk system. Best value in Stratford Glen - Call us today for a private showing before its GONE. Directions: Starting From The Intersection Of Al-181 S And Whispering Pines Rd/Pleasant Rd, Tur Right Onto Pleasant Rd, Continue For Approx. 1.0 Mile, Pass Co Rd 13 And Continue On To Whispering Pines, Then In Approx. 0.5 Mile Turn Right Onto Stratford Glen Dr. (Stratford Glen Entrance). Property Will Be On The Left Before 2nd Street.